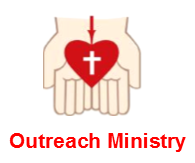 PARISH SOCIAL OUTREACH MINISTRY at Saint Catherine of Sienna R.C. Church encompasses a variety of ways in reaching out to those in need, the marginalized and so many others through different programs and services available throughout the year. In addition, this ministry provides information and guidance on issues of social justice guided by Catholic Teachings. SCS Parish Outreach Services includes providing assistance, support and special services for individuals and families in need.